We hear a lot about “co-working” nowadays. This originally, was where people from different organisations would work together in one location. The idea originally started many years ago as a “serviced office” facility that offered workers small, inexpensive, individual “offices” in one building with a corporate address for business post and a receptionist who answered all the phones. But today’s co-working is much more fun and super-cool. 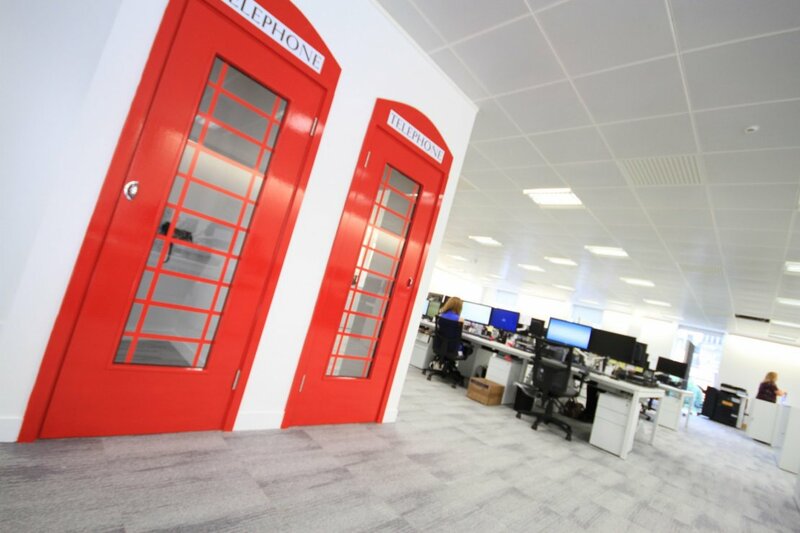 The “serviced” office of the past has now evolved into a vibrant place with personality, offering a real sense of community, place and customer service. Co-working appeals to thousands of different workers worldwide – from the self-employed, who prefer the buzz of an office environment rather than working from home, to the itinerant employees of large international corporations who need to touch down in a digital workplace for a few days at a time, to people who simply enjoy networking and working in collaboration with others. Corporate offices, take note! There’s much to be learnt from the co-working design approach! The last few years have seen a huge growth in the provision of co-working space, particularly in London where co-working office space represents 4% of total office space and is still growing. Co-working giant “WeWork” has 39 thriving locations in London alone. It’s first, on the South Bank, is a penthouse with views across the Thames, bicycle storage, showers and a pet-friendly policy to create a relaxed vibe. 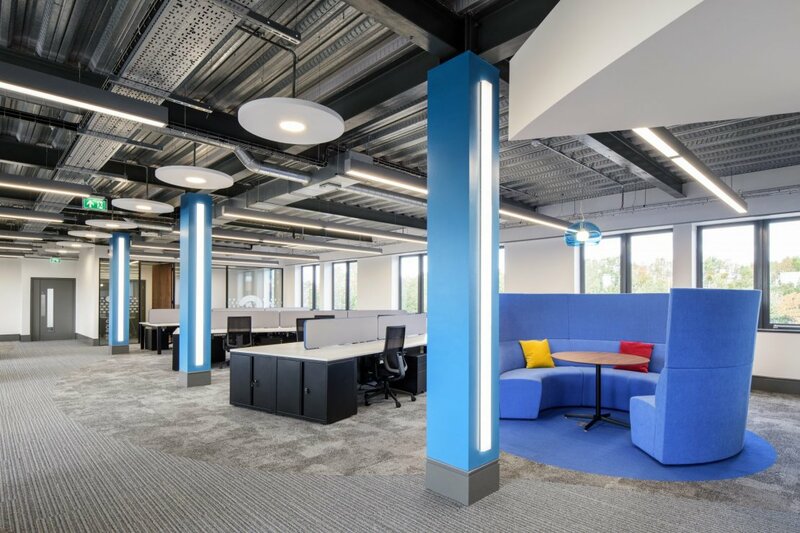 But it’s not just the South East that has seen this workplace transformation, most towns and cities in the Midlands and the North have a growing number of co-working offices competing for business. With the number of self-employed poised to overtake the public sector for the first time, and those in regular employment working more flexibly than ever, there’s an ever-growing demand for comfortable, digitised workspaces in convenient locations. And even better if they have great meeting zones, sound-proofed booths for private, concentrated work, breakout areas and cafes. Individual workers can drop in for a few days at a time, and small companies can even base themselves in co-working offices for years. It’s big business. Most people enjoy working in this relaxed environment and they’re more productive as a result. Until recently, co-working spaces were mainly for freelancers and start-ups , but now a growing number of large corporations are trying out different workplace models to boost productivity and an increasing number are moving their workers to co-working spaces. For instance, Microsoft recently gave 30% of its employees in New York City, memberships to WeWork locations. Research published in the Harvard Business Review shows that people who work in co-working spaces report higher levels of wellbeing than those working in traditional offices – thanks mainly to a “well designed work environment and a well-curated work experience”. So, how can businesses glean a few design tips from the co-working sector and improve their employees’ experience (and productivity too) at work? 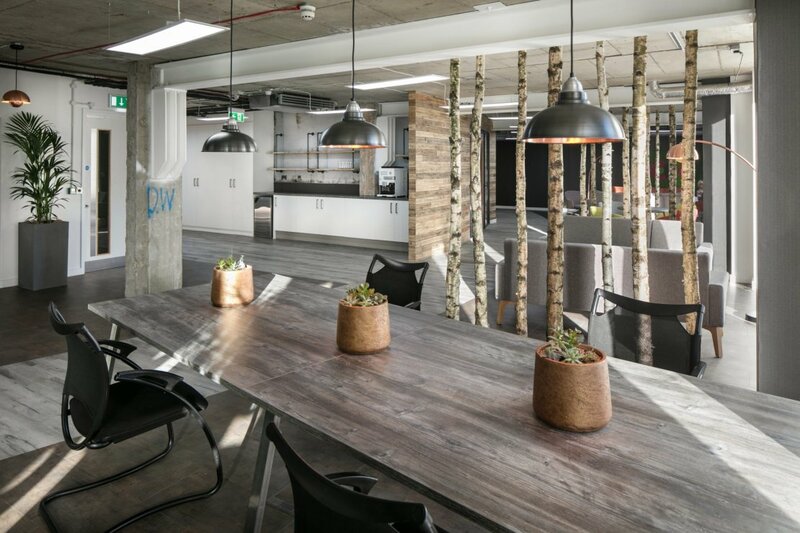 Ben Johnson Interiors creates exciting co-working offices as well as highly engaging corporate workplaces all over the UK. 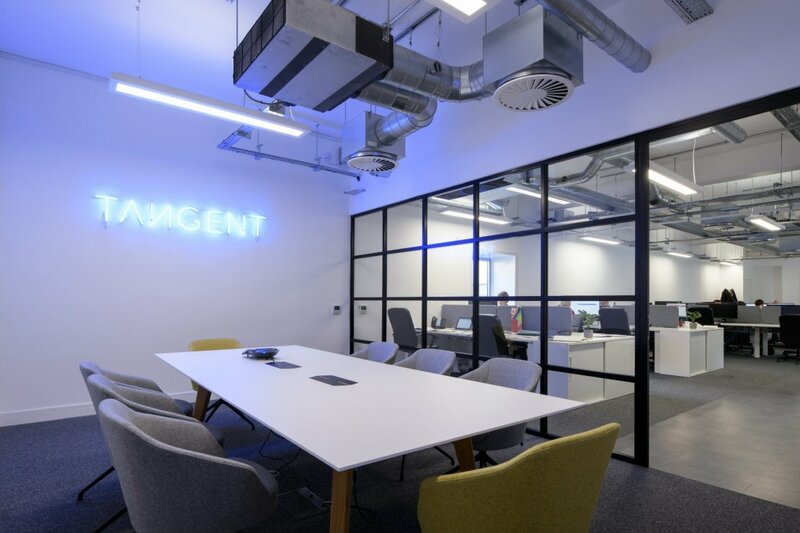 We frequently advise corporate clients to consider and incorporate appealing elements of the co-working office design into their private workspace – with great results – from management as well as staff! The latest co-working offices have “customers” – not tenants. Occupiers are offered more choice in their style of working. They are not forced to sit in the same place from 9am until 5pm with one hour’s break at a designated time. If they wish they should be able to walk about, discuss a work issue over a coffee, or choose to have a break in a quiet, comfortable chair without any questions being asked. In an ideal world, they should be able to access the workplace 24/7 should they require it. Respect your staff and offer your people a choice of working environment. In one of our recent designs for Mayborn Group, there are numerous meeting zones and chairs to choose – from private meeting rooms, to colourful booths and comfortable sofas – in every working zone. Noise levels can be stressful and distracting in a corporate office but are usually well managed in good co-working workplaces with a range of sound-proofed offices for private or concentrated work on offer. Do the same for your employees and allow them the space, silence and privacy for study, creativity and confidentiality. We install numerous highly-sound-proofed rooms, phone booths and studios for co-working as well as corporate workplaces. Co-working offices always have fully functional, high speed digital connections, otherwise they wouldn’t have customers. They also offer the latest digital presentation facilities for global communication in a range of different sized meeting rooms. Ensure your IT is fit for purpose, or face disgruntled employees, frustrated at being unable to carry out their jobs. We can advise on and install the very latest digital equipment for global connection. Co-working offices have a great community spirit, encouraging their people to network, socialise and have fun together, as well as work. With social media, global business and 24/7 connectivity, the lines are blurred between work and play, and the co-working sector has been the first to catch on. “Weekly events, conferences, hot-desking and everything in between” is offered by one co-working office, while others offer yoga classes, fitness studios, beauty salon, meditation sessions and even a tequila bar. Trust your people and encourage them to socialise, relax and have fun together AT work as well as out of work. 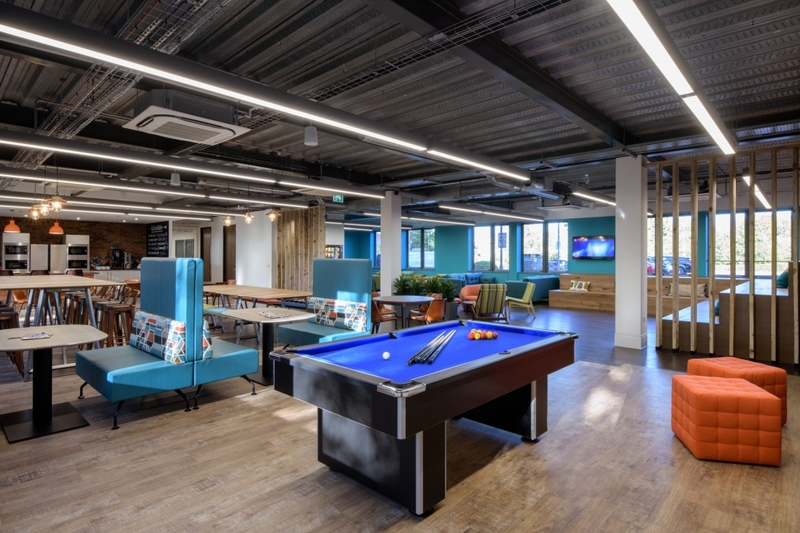 At Mayborn House, we designed and installed a state of the art breakout wing with a great choice of comfortable chairs, tiered seating for informal presentations, TVs, pool table, games and café for everyone to enjoy.